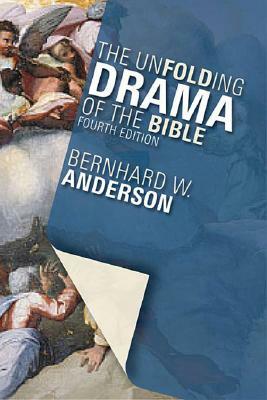 In the olden days (when I was an intolerant fundamentalist) I would never have read Bernhard Anderson’s book, The Unfolding Drama of the Bible. I would have dropped the book against a wall (funny how certain books are capable of defying gravity that way) at the first mention of Second Isaiah. But I’ve mellowed…a bit. What I appreciated about Anderson’s book is the brief, yet thorough, sketch of the Bible. I did this a while ago with my post on Metanarrative, so I appreciate Anderson’s approach of using biblical highlights as case studies to unfold the plot of the Bible. Each chapter has discussion questions at the end which are excellent conversation starters. It is a short read and would be profitable for small groups. Reading this book has opened my eyes to the way that I can fundamentally agree with someone who comes from a more liberal perspective. Everything he writes about the Bible I agree with, but I don’t share his views on issues of authorship and dating. I’m learning to be more charitable with these issues, and reading this book was an exercise in growth as much as in learning about the Bible. There is one little bit, however, that I can’t not mention. On several occasions, Anderson makes a comment along the lines of, “Don’t let the literal details of the passage trip you up.” I think what he means by this is, “Don’t let the silly or offensive parts of the story cause you to disregard the passage.” While I understand why he would write this, there seems to be a subtle undercurrent of condescension toward the text, as though we stand over it and judge it against our modern knowledge and sensibilities. What worries me is that this subtle condescension feeds our pride in our own particular historical moment, and that great beast of pride, when fully grown, will seek to conquer the text rather than be conquered by it. In my opinion, it’s far better to approach Scripture with a humble heart and a submissive spirit. The Bible is, after all, our authority, and not the other way around.